For centuries, people have been burying money when times get hard. 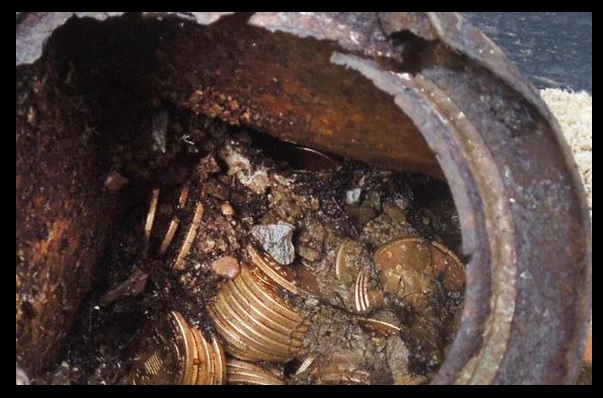 A hoard of US gold coins was found in California with the uncirculated coins dated between 1847-1894. This clear lines up with the Panic of 1893 and the failure of many banks. Throughout ancient times as well as money, stir up the economy and you get civil unrest and the hoard on money that helps create the downtrend and deflation. « Caesar – Beware the Ides of March – Were the Conferences Targeted to this Period?